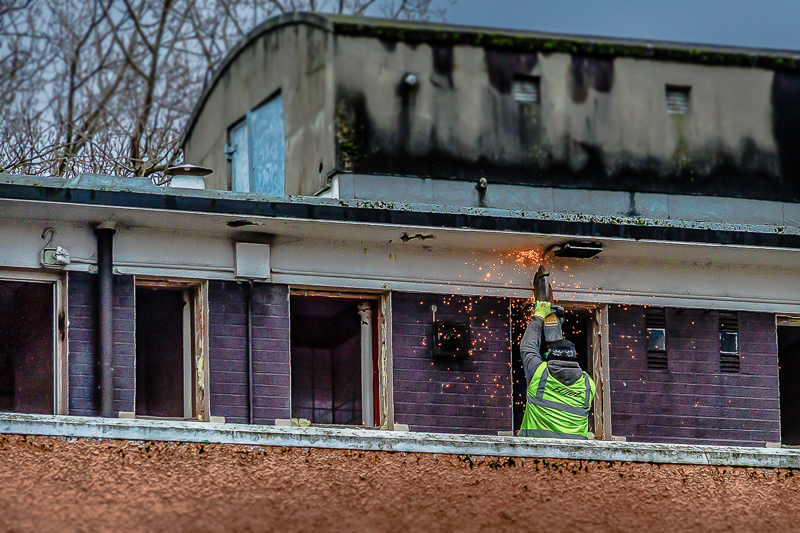 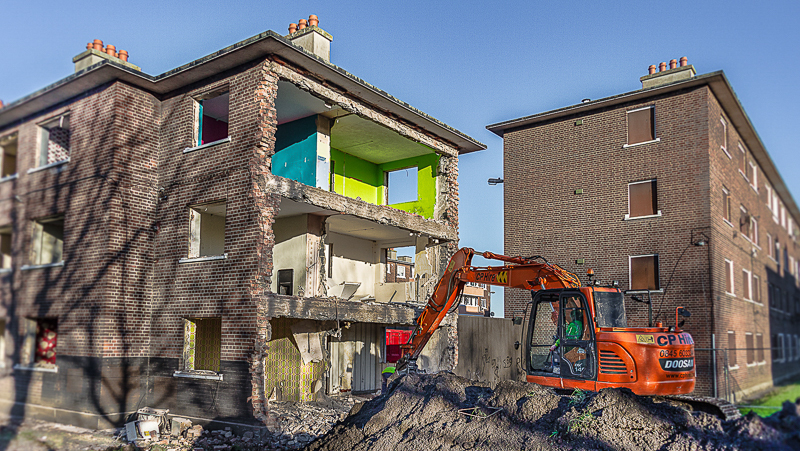 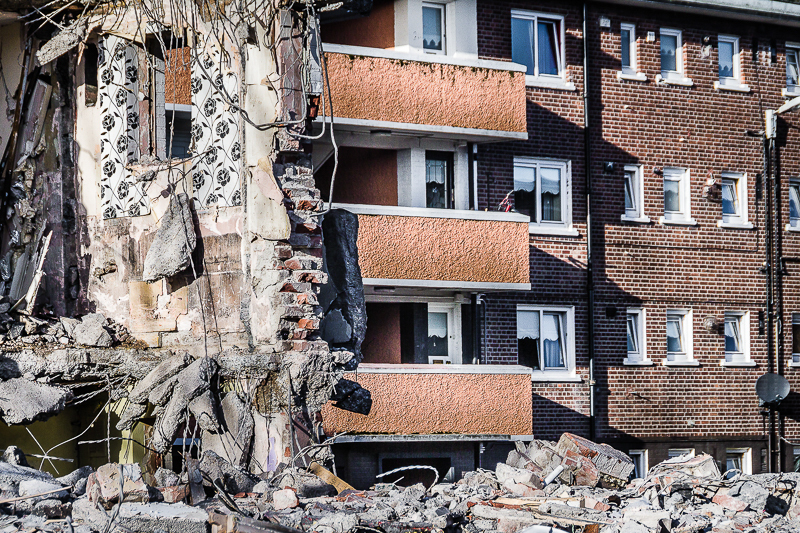 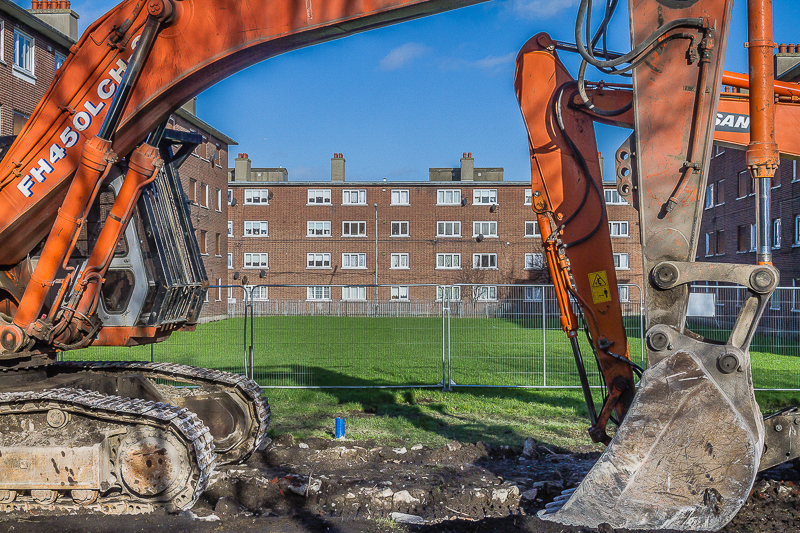 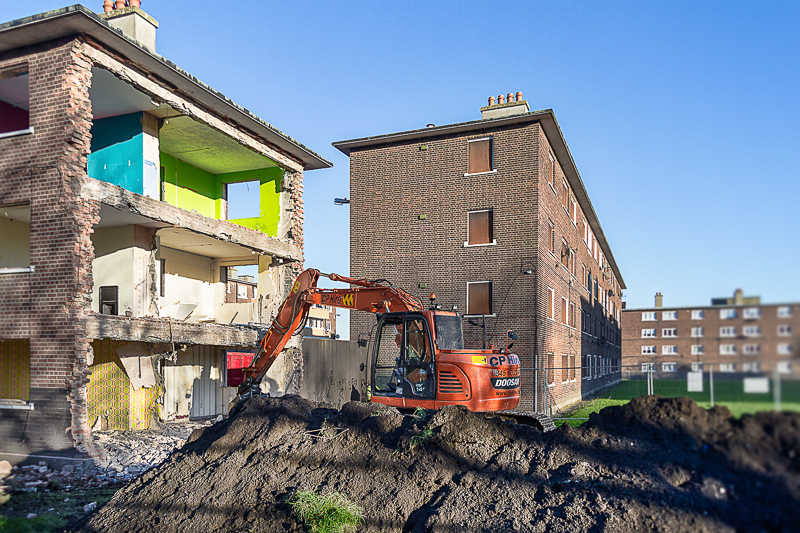 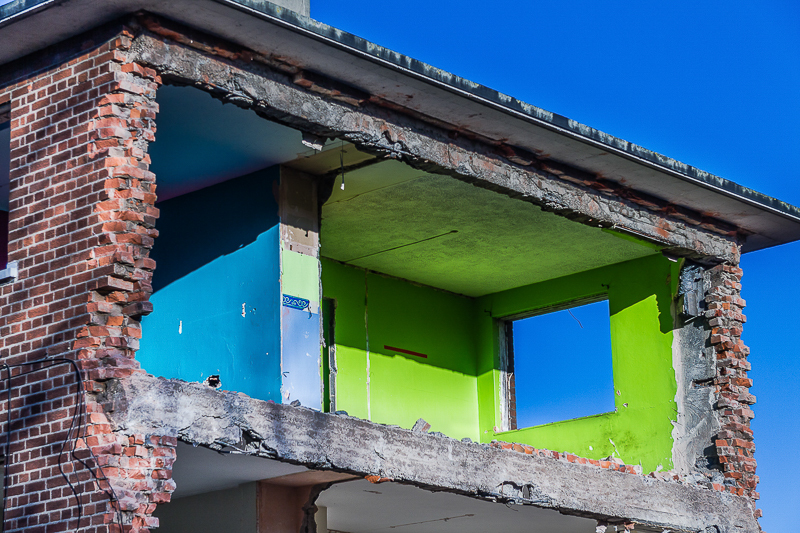 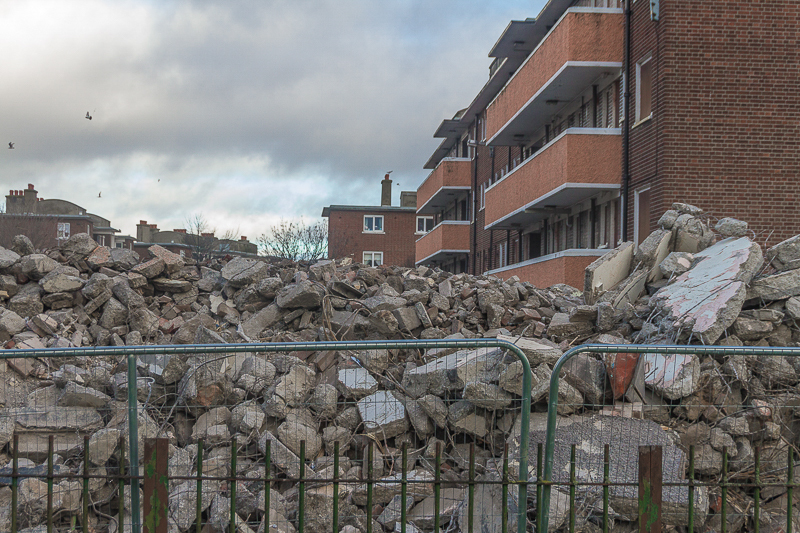 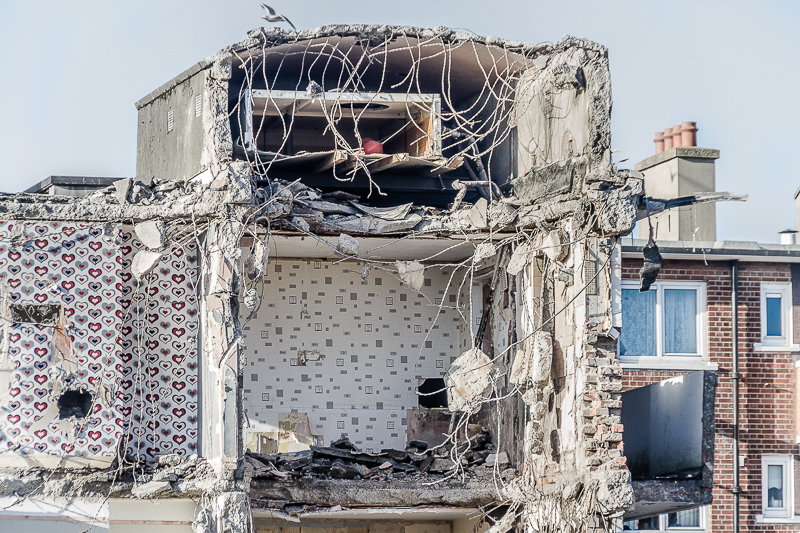 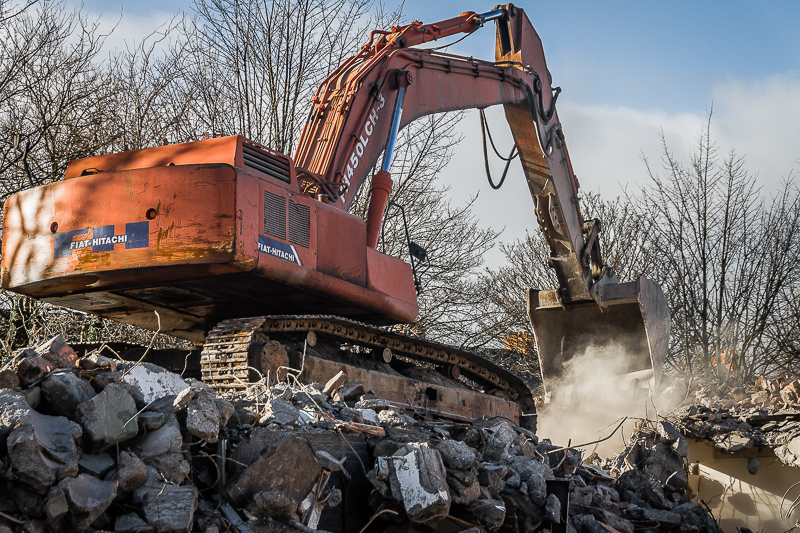 A Dublin City Council [South Central Area] commission to document the demolition stage of a social housing estate block. 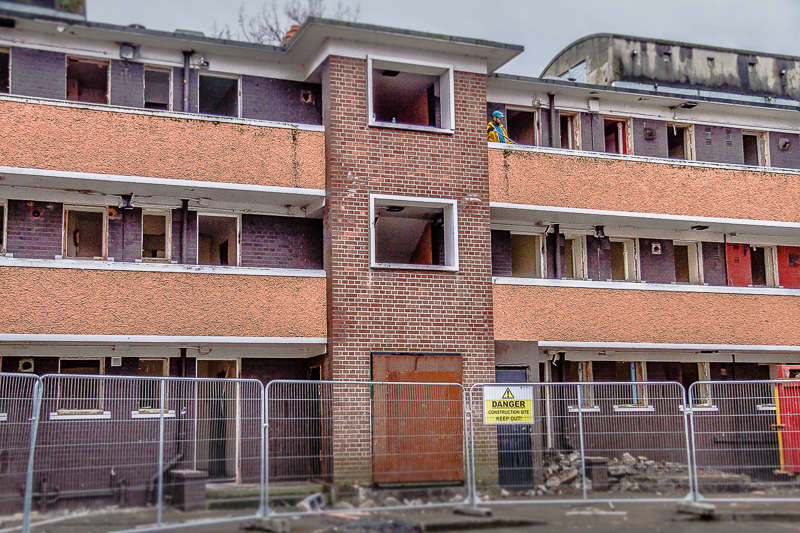 This particular flat complex has been home to over 300 families since they it was built in the 1950's, and designated for demolition and redevelopment some years ago. 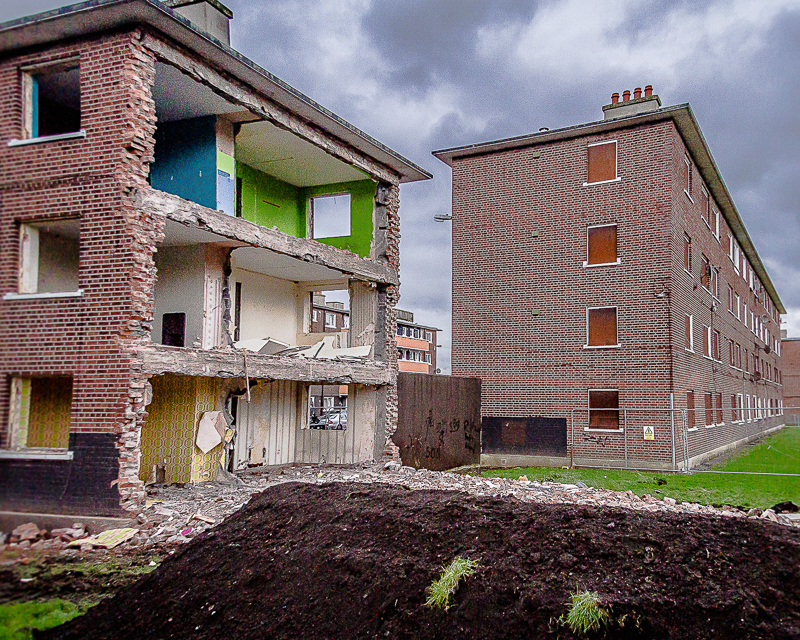 Dublin City Council had hoped to pursue the project as a Public Private Partnership but the economic crash thwarted those plans. 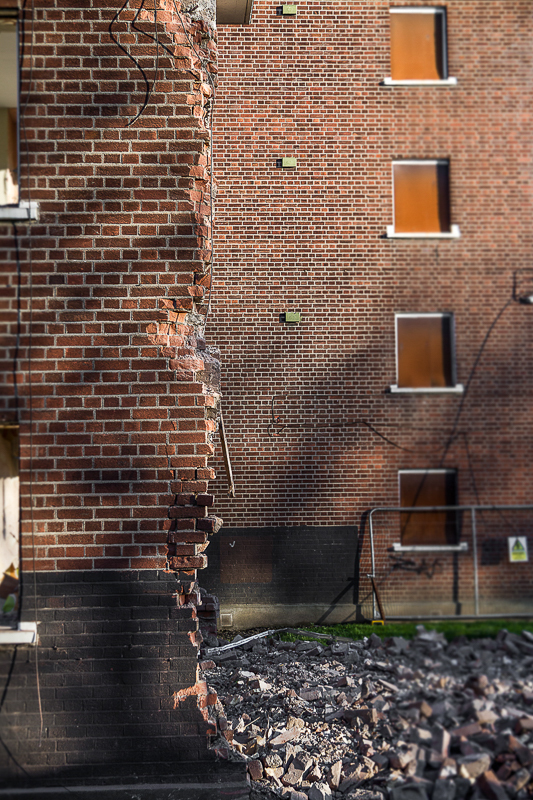 I worked for a number of years for a Dublin Regeneration Board and so this was subject matter that I understood very well. 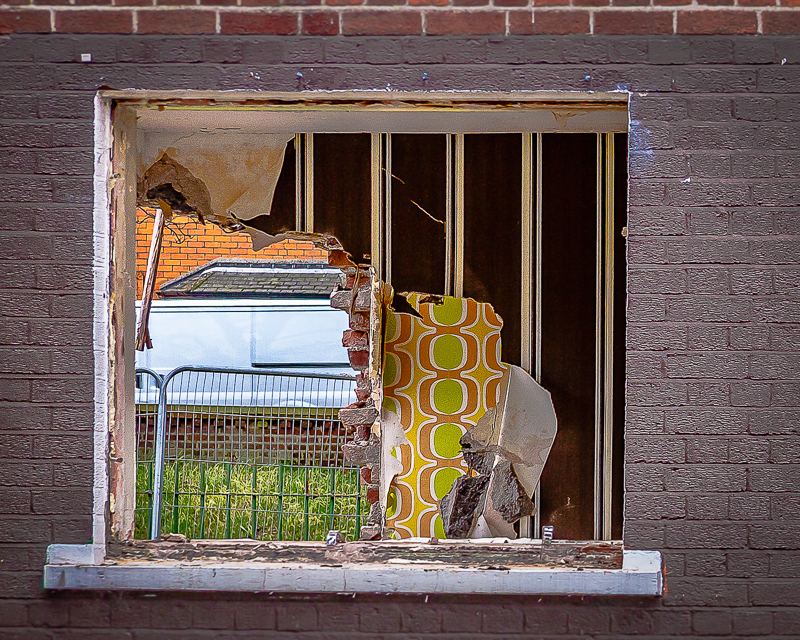 Unlike other flat complexes that have undergone regeneration, this particular estate will undergo a 'deep retrofit' programme. 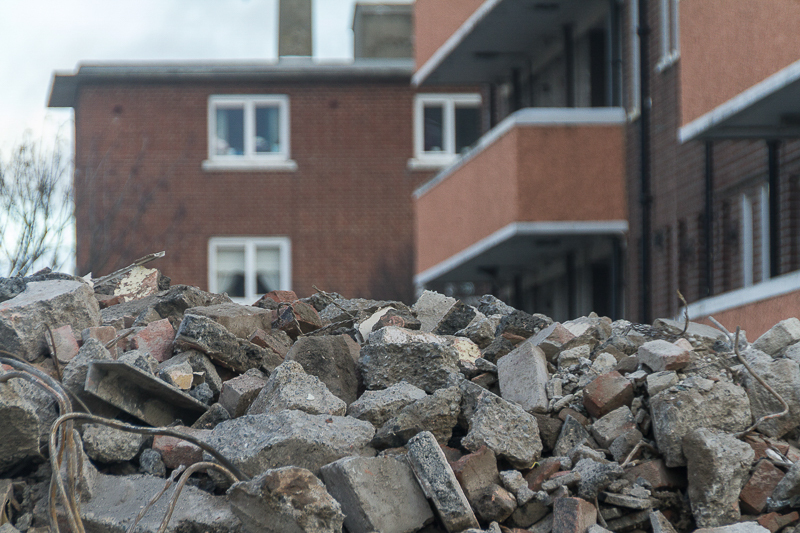 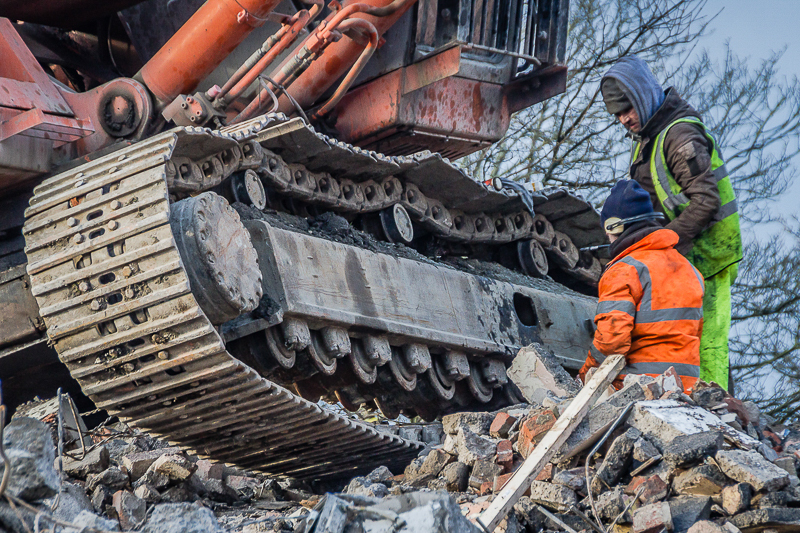 Indeed, the residents did not wish for their community to be fractured and subsequently, wholesale de-tenanting and demolition is being avoided. 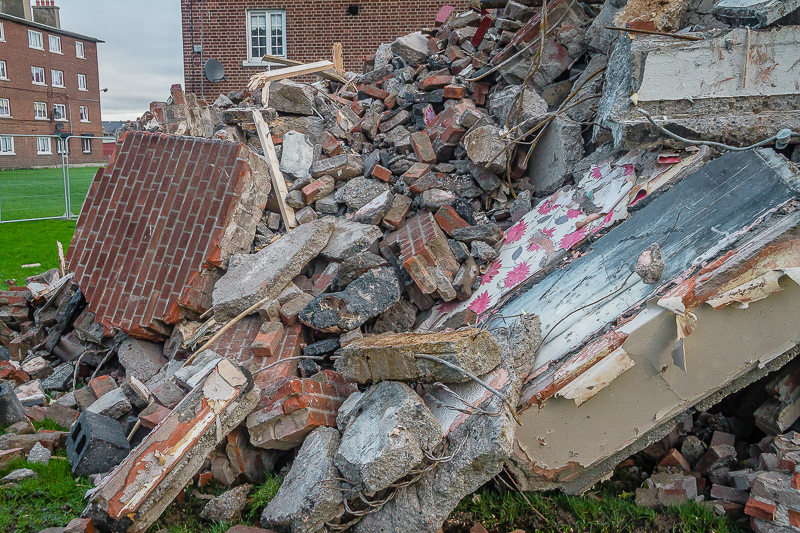 Naturally while documenting the scene, it was impossible to ignore the fact that the falling bricks and plaster were once people's homes. 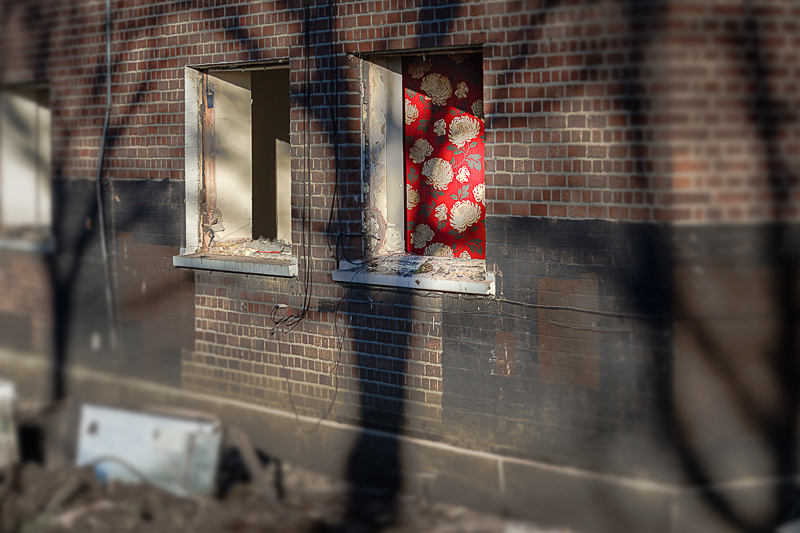 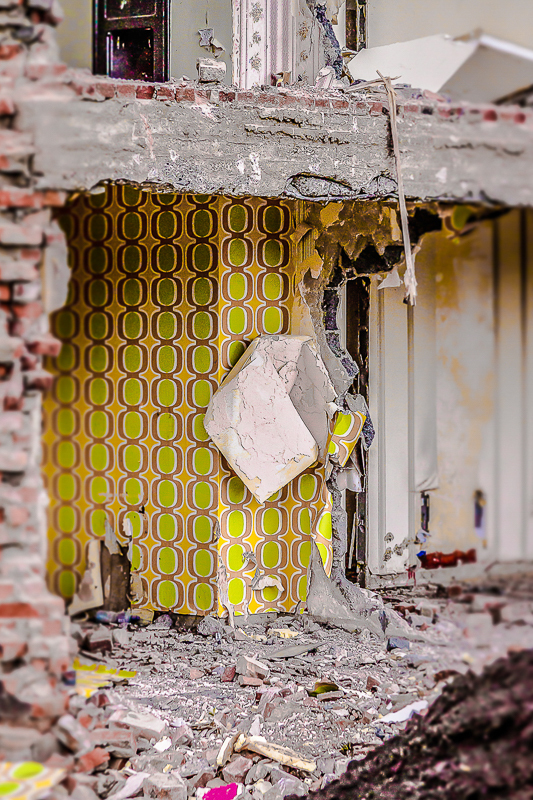 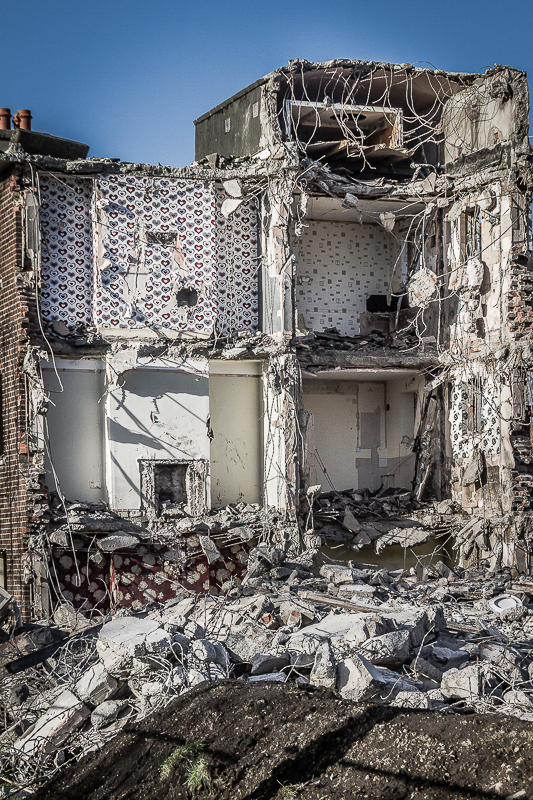 Fabrics and wallpaper were visible through the debris, with the sound of crumbling concrete and heavy machinery filling a space that was once occupied by day-to-day family living.